Following the implementation of the blind voting for the Top 75 finalists last Wednesday, January 31, this week’s Top 10 aspirants were revealed today, February 3, on ABS-CBN’s noontime show, It's Showtime. Next week we will find out if these girls will still be part of the Top 10 or we’ll be seeing new faces on the list. If you want to see your Oshi to be part of the weekly top-rankers who will perform live every Saturday on It’s Showtime, keep on voting for them using the MNL48 mobile app. To view the complete Top 75 ranking, you may visit MNL48 website and MNL48 Plus mobile app and get the latest updates by following MNL48 social media accounts. 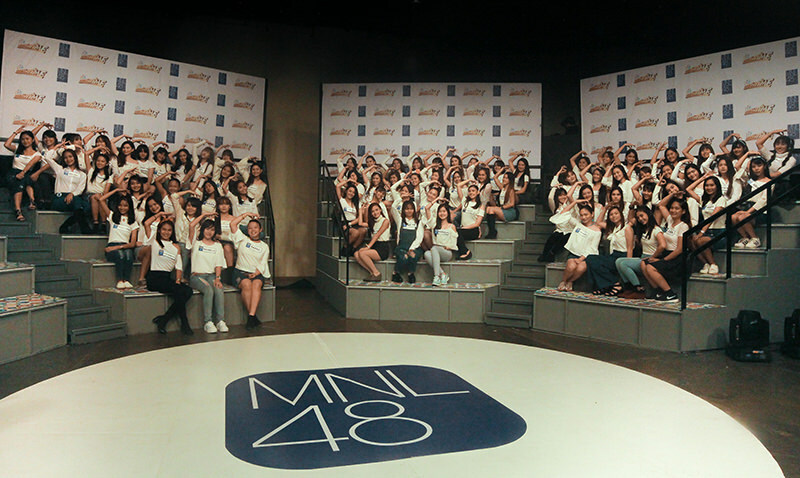 After the release of the latest version of MNL48 website and mobile app, and the reveal of the Top 75 finalists last January 27, MNL48 announced the implementation of blind voting system. Blind voting will be implemented every Wednesday to Saturday which means supporters can still vote for their Oshi using the MNL48 Plus App. Viewing of real-time ranking will resume at 12:30PM on Saturday to 12:30PM the following Wednesday on the website and mobile app, and in ABS-CBN’s noontime show, It’s Showtime. This new system is expected to add more flavor and excitement, both to the 75 finalists and to their supporters. Moreover, the finalists who will make it to the Top 10 ranking, to be announced every Saturday, will be given a chance to perform live on It’s Showtime on the same day. MNL48 launched the newest version of its website and mobile app today, January 27 following the reveal of the Top 75 contestants who made it to the next stage of the competition. Aside from new look of the mobile app, the latest update includes real-time ranking of the Top 75 finalists which can be viewed on the website and mobile app, and a new voting system where registered supporters can now only “Like” five applicants/Oshi per account. These updates on the website and mobile app are in preparation for the next stage of the nationwide idol search, the “Road to Final 48”, and creation of the Philippines’ first generation of all-girl idol group, MNL48. Moreover, new fans who wish to support their Oshi can only register through MNL48 Plus mobile app. Once fans have successfully created an account on the app, they can start using the MNL48 Plus mobile app to “Like” their Oshi. Meanwhile, the membership will not only be valid for voting, but also for receiving latest announcements and official fan club invitations, and will also serve as fan’s General Election ID, and to be used for theatre ticket reservations. To create an account on MNL48 Plus, fill in the required fields with your valid information including your legal name, email address, mobile number, and authenticate your account through one-time SMS verification upon logging in on the app. From a total of 4,134 registered applicants, only 200 aspirants will move on to the next stage of the application. The selection of Top 200 is based on the number of Oshi (likes) the contestants will earn until January 14, 3pm. All fans with verified supporter accounts are encouraged to support their favorite applicants by liking their profiles through the website or MNL48 Plus App. Applicants will be no longer allowed to update their accounts, while the supporters will not be able to "Like" applicants in the MNL48 website and mobile app after the mentioned deadline. The names of the Top 200 will be announced on ABS-CBN's noontime show, It's Showtime on January 20, 2018. After the successful nationwide search for the first generation members of the newest idol group in the Philippines, MNL48 fires an outstanding and star-studded Grand Registration and Audition tour at ABS-CBN Compound last December 2 and 3, 2017 with Japan’s popular all-girl-group, AKB48 Team 8. 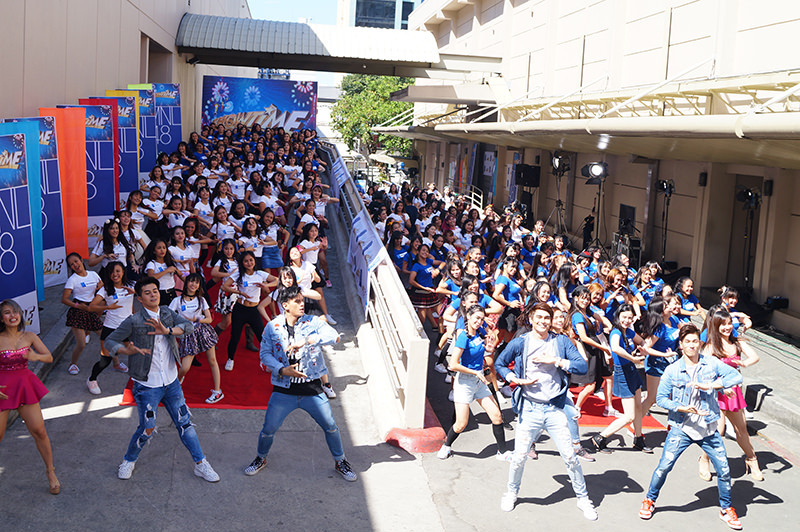 Hundreds of MNL48 hopefuls lined up at the gate and filled the compound during the two-day event before it officially closed last Sunday, 3pm. The final registration ended with a total of 4,134 active applicants to compete with each other. During the first day of the event, AKB48 Team 8 members Honda Hitomi, Hidaritomo Ayaka, Yokomichi Yuri, Nagano Serika, Ota Nao, Nakano Ikumi and Hitomi Kotone performed live on ABS-CBN’s noontime show, It’s Showtime, where it also aired on national television when celebrity hosts Karylle, Jugs & Teddy, and Hashtags Luke & Nikko visited the audition area. After the audition proper, a mall show at SM North EDSA and a mini show were also held where the members performed their popular and favorite songs. Their energetic supporters cheered out with joy as they went up the stage. On the last day of the event, the media got the privilege to ask few questions to them before their final guesting on the live update posted on MNL48 Facebook page hosted by Hashtags Luke and Nikko which had 7.1K views. The cute, charming and talented members also gave advice on how to be an idol before they head back to Japan. They shared that when you really love something, you have to put an effort to it, never give up. There are people who are not that good in singing and dancing, but they should use this as a motivation to try harder every day. Moreover, they explained that they always look for a way on how they can make their fans happy. Meanwhile, although the registration and audition has finished, MNL48 will be one of the segments of It’s Showtime to feature the top 100 girls before it will be filtered to 48 to undergo training. MNL48 applicants should strive harder to gain more likes because there will be no panel of judges; you just need a solid voting system. To get the latest updates, visit our website and follow our social media accounts. As AKB48 Team 8 will be visiting the country for the third time to show support for MNL48's Grand Registration and Audition and its applicants, they will also be holding their special mini show on December 2 and 3, 3PM, at ABS-CBN Compound in Quezon City. AKB48 Team 8 members: Honda Hitomi, Hidaritomo Ayaka, Yokomichi Yuri, Nagano Serika, Ota Nao, Nakano Ikumi, and Hitomi Kotone will be performing some of their popular hit songs on their mini show at the ABS-CBN Center Road in line with MNL48's ongoing idol search. To watch the phenomenal all-girl idol group perform live, simply download the MNL48 mobile app on your smartphone, register as a supporter or applicant and present it on the day of the event to get inside the mini show venue. Keep in mind that the mini show is on a first-come, first-served basis only, so fans are advised to be there earlier to get the best view of their idols. Moreover, three lucky die-hard AKB48 fans can also get up close and personal with AKB48 Team 8 by joining It’s Showtime, ABS-CBN’s prime tanghali show, and MNL48’s "Fortune Cookie Dance Video Contest". To join, simply show off your best dance moves by taking a video of yourself dancing to AKB48's popular song "Fortune Cookie" and upload it on Youtube with a hashtag #MeetAKB48. Then, send a private message to the official MNL48 Facebook page with the link of your uploaded video before November 30, 10 AM. With the presence of AKB48 Team 8 and its mini show, the grand registration and audition is expected to be the biggest MNL48 tour and will have the most number of applicants among all the tour. After its successful nationwide tour in Luzon, Visayas, and Mindanao, where it was recently in Davao City, the grand registration and audition in ABS-CBN will be the last leg of the nationwide tour. This will be the last chance for MNL48 hopefuls to register and be part of the biggest and newest idol group in the Philippines as its registration cut off will be on December 3 at 3PM.